I decided to spend the next year finishing up the Gulls I need. 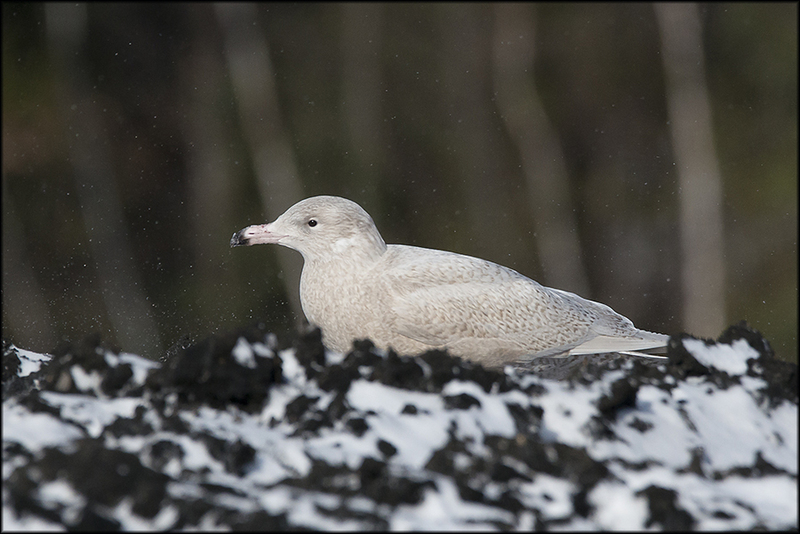 I started off well by photographing an adult Glaucous Gull, a bird I had never seen before. I had plenty of photos of Juvenile birds but not the adult. 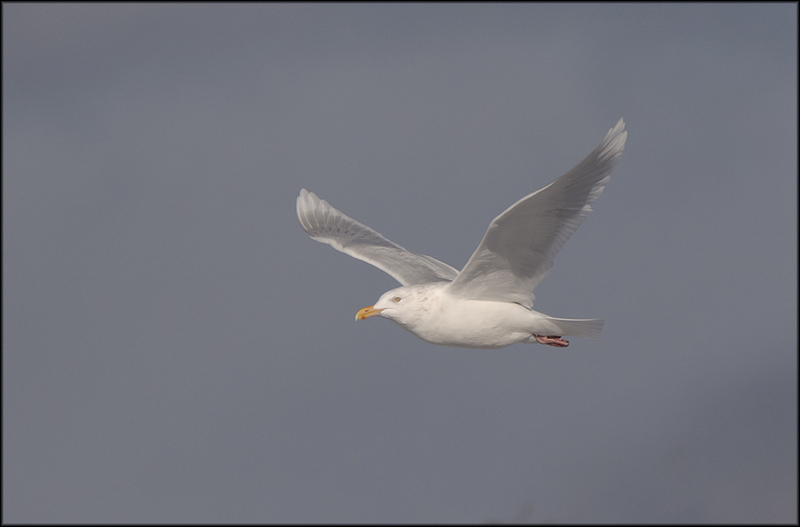 It is one of the largest Gulls out there, with unmarked white wingtips, limited streaking on the head and yellowish bill. They are a 4 year gull, this means they go through four variations in color before they reach maturity. You can get paler and darker juveniles, 2nd winter birds, 3rd winter birds and adults.